Roscosmos has successfully conducted the first launch from Russia’s newly built Vostochny Cosmodrome, located in the country’s Far East. A Soyuz-2.1a rocket, carrying a trio of Russian satellites, became the first vehicle to lift off from the just-opened spaceport. 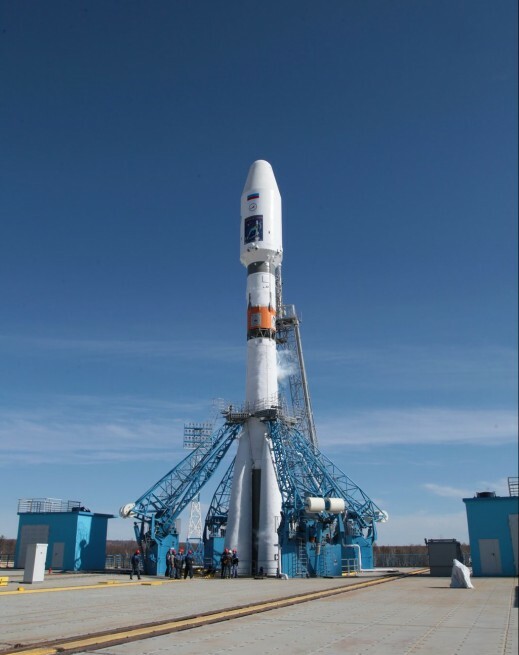 The booster blasted off from the Cosmodrome’s Site 1S on Wednesday, April 27, at 10:01 p.m. EDT (02:01 GMT on April 28) after a 24-hour delay due to a computer-initiated abort 90 seconds from the originally planned liftoff. Roscosmos has yet to reveal what caused the initial delay. Soyuz-2.1a rocket awaits its launch at the Vostochny Cosmodrome. Photo Credit: Roscosmos. 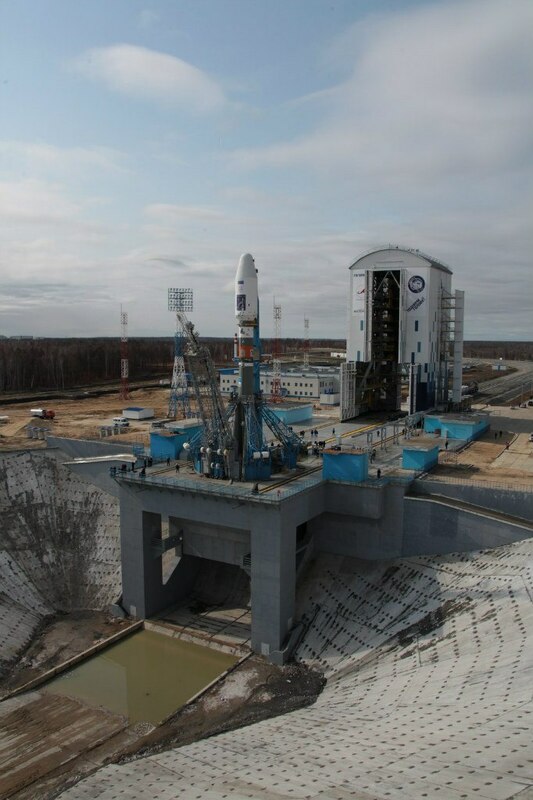 Construction of the Vostochny Cosmodrome, which began in 2011, has been disrupted many times by financial problems, corruption scandals, technical difficulties, and even by a workers’ strike. The spaceport has currently one operational launch pad – Site 1S. Overall, seven launch pads are planned to be built at the cosmodrome. For this mission, the rocket was equipped with the Volga upper stage, designed to insert a payload into a Sun-synchronous orbit (SSO). This stage is 3.36 feet (1.03 meters) long and measures 10 feet (3.2 meters) in diameter. With a mass of 1,850 pounds (840 kilograms), it is fitted with a lone 17D64 engine.